THIS is to inform all interested candidates that National Open University of Nigeria (NOUN) Application Form for 2019 Admission Advert. The National Open University of Nigeria application forms for admission into Certificate, Diploma, Undergraduate, Post Graduate Diploma, Masters Degree, and Doctor of Philosophy Programmes for the 2019/2020 Academic Session is NOW ONGOING. 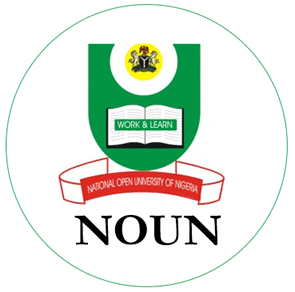 The sales of NOUN Admission form for the 2019/20 admission was recently announced by the management of the Institution. And the School management has made the procedures to be very SIMPLE! 8. Select “View Subject Required” to view compulsory subjects required for admission. 9. Click “Apply” to proceed to payment form. 13. Copy and take your Remita Retrieval Reference (RRR) number to any bank branch for payment. 18. Fill Form. Note: all fields marked with red star are compulsory. * Doctor of Philosophy Programmes for 2018 Academic Session. Update: You can now view the AVAILABLE PROGRAMMES below without having to download it. A lot of people are confused as to how to apply for NOUN Admission, we are going to use nounstudentportal.org as a platform to inform all interested candidates how they can easily apply for NOUN. Please take note that applying for National Open University of Nigeria is done entirely online and electronic and operates 24-hours a day, that means, you can apply anytime from the comfort of your home. Interested candidates who are applying for the 2019/20 National Open University of Nigeria admission are urged to insist on paying the stipulated cost only and obtain official receipt at the point of payment, (the bank). Application for the 2019 NOUN admission is currently ongoing. The closing date has not been announced yet by the school management. Therefore, all interested persons are advice to take advantage of it now and apply.